SAN DIEGO, June 3, 2002--TISCOR announced today that BaxTek Solutions located in Atlanta, Georgia, is joining TISCOR's international network of distributors. BaxTek will sell FacilityManager, a paperless computerized maintenance management system (CMMS) using Palm hand-held computers, targeting manufacturing, distribution, paper & power facilities, according to Wayne Baxter, President of BaxTek. "We're excited to offer this specialized, niche product to our clientele," said Mr. Baxter. "We believe that it's an excellent complement to our existing products, and we feel that TISCOR is a credible, experienced company. TISCOR has a good, solid track record, powerful-end users, and years of experience." FacilityManager is a paperless computerized maintenance management system (CMMS) software application that controls maintenance management operations. It is used to schedule routine inspections, detailed work orders for preventive maintenance tasks, and performance of unscheduled maintenance in the field. FacilityManager is designed for companies and service organizations that conduct maintenance and preventive maintenance activities on equipment and locations at single or multiple sites. BaxTek Solutions currently offers data collection products such as barcoding hardware, software, equipment repairs and services to 100+ companies in a dozen different states including Georgia, Florida, Nevada, Pennsylvania, and Toronto, Canada. 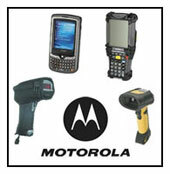 Other products include wireless systems, RF terminals, scanners, signs, rack location labels, printers and ribbons. BaxTek Solutions will enhance TISCOR's hold on the CMMS market, promoting FacilityManager to new clientele in paper plants and other industries, according to Jeff Kruse, TISCOR Vice President of Business Development. "We're pleased BaxTek Solutions has joined forces with TISCOR," said Kruse. "We're looking forward to a long and prosperous relationship." TISCOR has more than half a dozen international distributors from all corners of the globe. TISCOR's mobile software solutions are currently maximizing productivity and eliminating paperwork at more than 4,500 companies worldwide. Combining powerful software with the latest in hand-held computing, TISCOR solutions automate inspection activities at facilities in virtually every industry. Facility maintenance management, security operations, fire/safety equipment inspections, and biomedical maintenance management are completely computerized with TISCOR's innovative solutions. TISCOR's technology is found in Fortune 500 companies, U.S. Government sites, universities, world-class hotels, military facilities, nuclear plant facilities, utilities, shopping centers, sports facilities, and hospitals. In fact, TISCOR's software is used in 50 of the top Fortune 100 companies. TISCOR's headquarters are located just outside of San Diego, California, with representatives across the U.S., Canada, Europe, and Asia. Additional information is available at www.TISCOR.com.